When Creativity Festivity kicks off 10 days of activities this week, residents will have a chance to see Durango schools’ arts education in action. The Durango Arts Center is the center of activities during the festival, which includes performances of “The Grunch: A New Children’s Musical” by the arts center’s Applause children’s performing arts program. The musical, a takeoff on “The Grinch Who Stole Christmas,” features a sixth-grader who decides to sabotage her school’s musical production by stealing the sets, costumes and props. 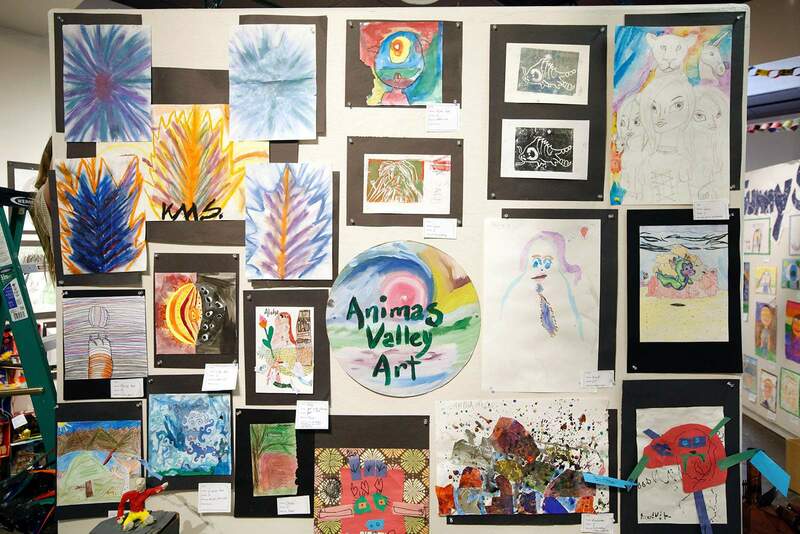 While Animas High School has been invited to participate every year since it opened in 2009, this is only the third time the school will have student art displayed. Art teacher Roxy McKnight said that was for a variety of reasons, but this year, the exhibit was a chance for her junior and senior students to display their projects researching radical art movements. “I didn’t even give them the theme,” she said. “They picked a radical art movement to research, and their pieces are either inspired by or rejected by those movements. Many of the AHS entries are digital, McKnight said. One of her students took underwater photography to a new level, and the results are on display at the Barbara Conrad Gallery. Other students wrote, produced and served as cinematographers on short films, which will be played on a loop on a television set. Some of them were also screened in the Durango Film Festival. Originally started by a group of local artists who offered after-school arts programming, Creativity Festivity has become part of schools’ curriculum, a part the whole community can enjoy. 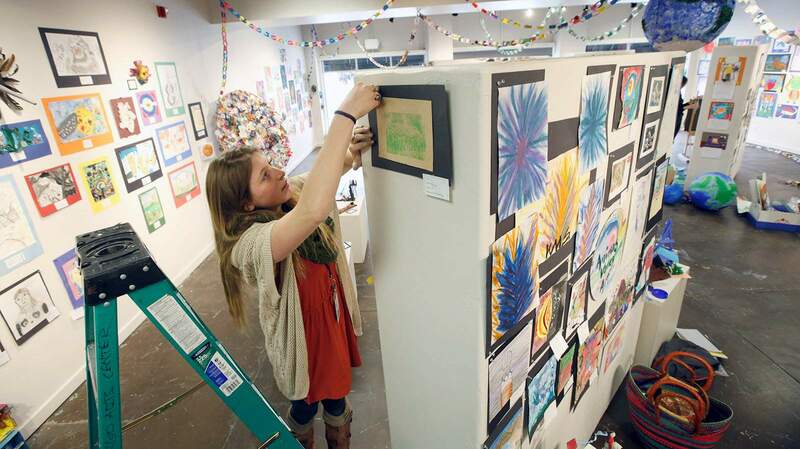 Andie Huml, a Fort Lewis College student teacher, helps to hang the Creativity Festivity art show “Art Connects the World” from students in Durango School District 9-R on Monday in the Barbara Conrad Art Gallery at the Durango Arts Center. The show opens on Thursday. Visual art will be on display in the Barbara Conrad Gallery from Thursday through April 15. The opening reception will be at 4 p.m. Thursday.“The Grunch: A New Children’s Musical” will be performed by participants in the DAC’s Applause! program in the arts center theater at 7 p.m. Friday and Saturday and at 4:30 p.m. April 10-11. Tickets the first weekend are $8 for DAC members/children 12 and under, and $12 general admission. Tickets the second weekend are $1 for children and students, $5 general admission.The High School Poetry Slam will take place at 6 p.m. April 12 in the theater.To see highlights from last year’s Creativity Festivity, visit http://durangoarts.org/22nd-creativity-festivity/. 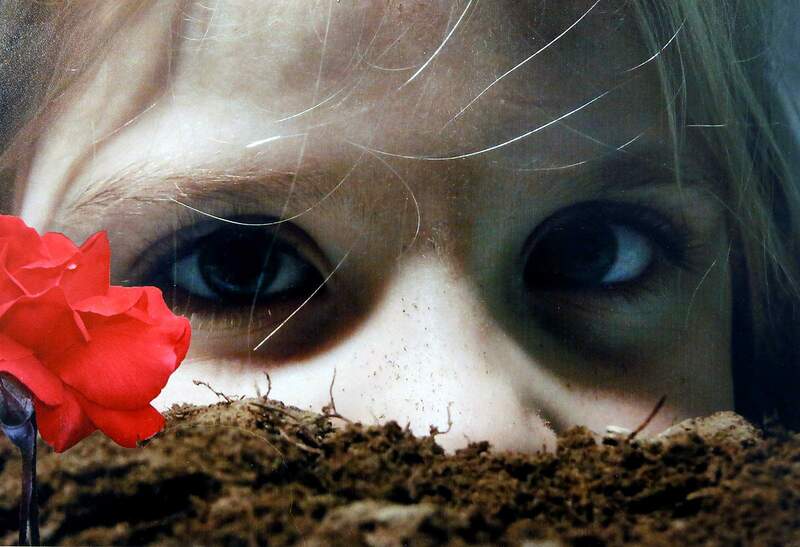 Art created by students in Durango School District 9-R will be on display starting Thursday for the Creativity Festivity “Art Connects the World” in the Barbara Conrad Art Gallery at the Durango Arts Center. 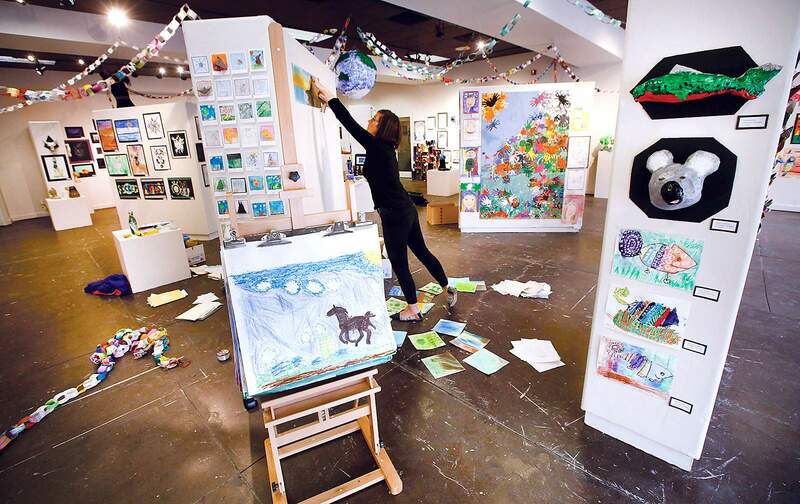 Jennifer Smith, an art teacher at Florida Mesa, along with other art teachers hang the Creativity Festivity “Art Connects the World” from students in Durango School District 9-R on Monday in the Barbara Conrad Art Gallery at the Durango Arts Center.